Have you made plans for Father's Day yet? 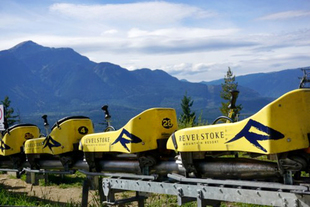 If not, check out The Pipe Mountain Coaster in Revelstoke! The unique single-track coaster can reach speeds of up to 42km per hour, winding its way 1.4km down the mountain from Revelation Lodge to the Village Plaza. 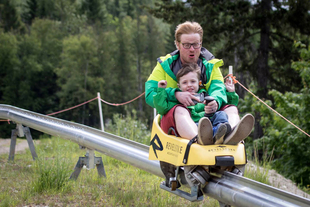 Unlike a traditional coaster, riders control their own speed, making it fun for all ages.